I am starting a new series this year called "Five Minute Project". It recently dawned on me that a lot can be accomplished in five short minutes. Decluttering and simplifying can seem daunting, but a lot can get done in short spurts. I will be showing my own Five Minute Projects and I hope I can inspire you to tackle you own! 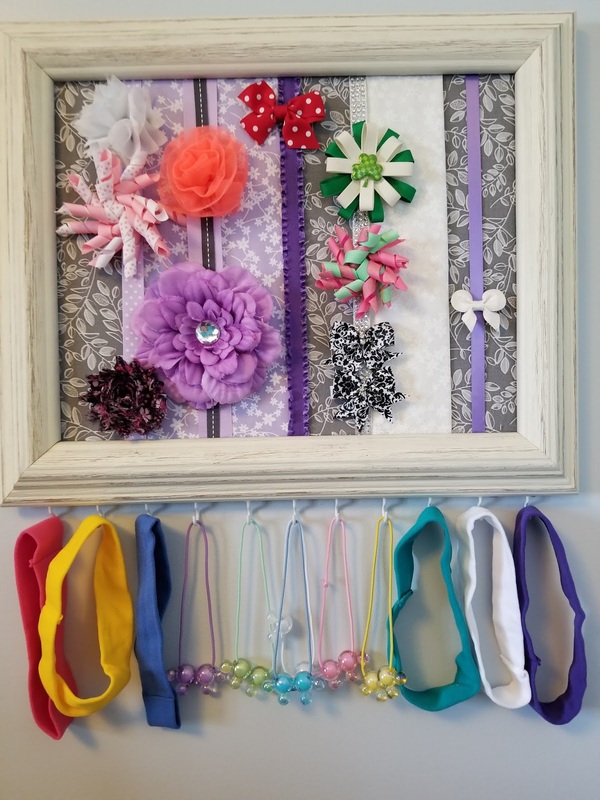 The first Five Minute Project that I tackled was my daughter's hair accessories. Her hair accessories were getting out of control. She receives so many bows as gifts, but only uses a certain number of those bows. 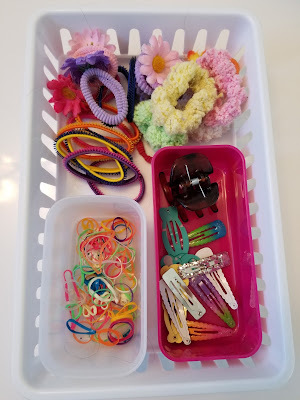 First I dumped out all of her hair accessories from the drawer. 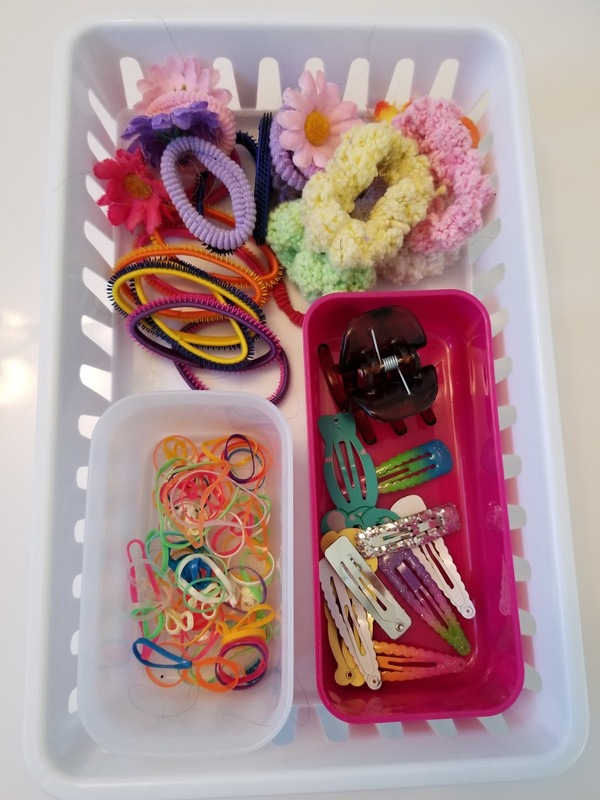 I only kept the hair ties and clips that we use regularly in the basket in the drawer. 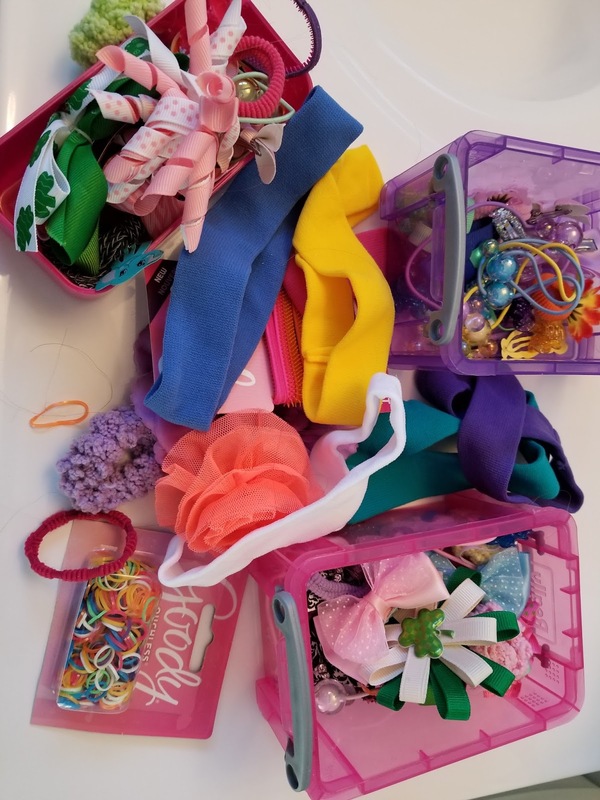 Next, I sorted through all of the headbands and fancy bows and decided what to keep based on what my daughter actually wears. I displayed her bows on an accessory organizer she received as a gift. I hadn't gotten the accessory organizer hung on the wall, but this project spurred me to hang it up and put it to good use! The organizer is an adorable way to display Miss. E's bows and the basket in the drawer is now orderly and easy to navigate. I donated the bows that we weren't using so that someone could get use out of them.